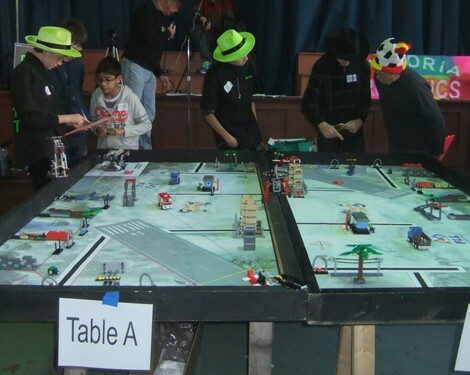 The FIX IT team helped at a practice tournament for the local FLL teams on December 7, 2013. We helped by running the tournament field, getting teams to interviews, and doing odd jobs. It was fun bringing the teams to the interviews because we got to spend time with the teams as they were getting ready for the interviews. It was interesting to be involved in running a tournament, not just being in the tournament. We got to see more of an overview, rather than just the narrow focus on what we need to for the competition. Cathedral School in Victoria was a wonderful host! This page contains a single entry by Christine published on December 12, 2013 6:47 AM. EV3 vs NXT was the previous entry in this blog. FTC Block Party Season is the next entry in this blog.